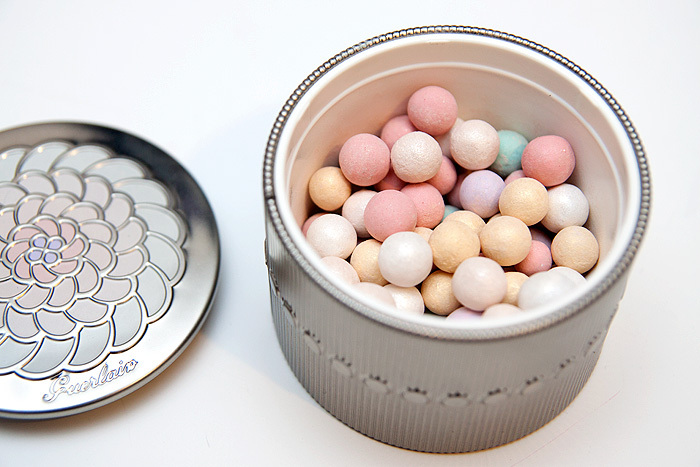 I was sure I’d already blogged about my Guerlain Météorites Perles? I mean, there aren’t many items I use so frequently but this is one of the ones I reach for almost every morning. I bought the shade 01 Teint Rosé back in March when I had a coupon code for StrawberryNet. I’d been lusting after them forever but money-off was the final push I needed to take the plunge! The metal tin houses 100s? 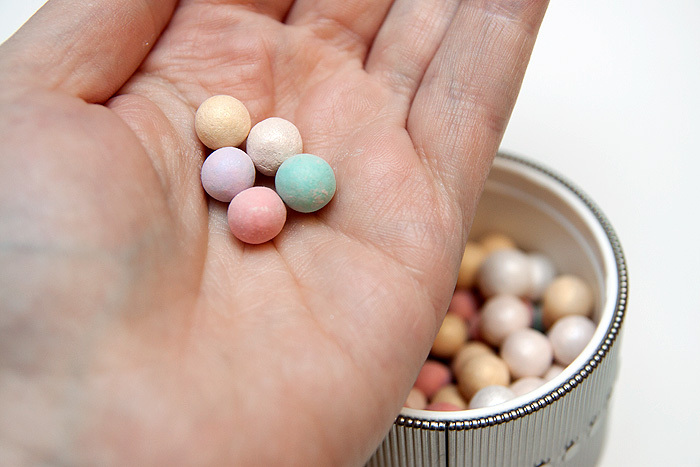 (I’m not counting them) of little powder balls in a variety of lilac, green, pink, yellow and white shades that promise to colour-correct and impart a healthy glow. It also smells like a giant parma violet. I use this in conjunction with my Trish McEvoy powder brush #5 to swirl before lightly buffing over my face. My personal preference is to use this when I’ve finished applying my makeup… it gives a very light covering so I consider it my ‘finishing’ powder. To my eye, it adds luminosity and a slight soft-focus finish. You might be interested to hear that the other product I use (when I’m not using this) is ELF’s HD Powder. Eclectic. Guerlain Météorites occasionally comes under accusations of being a bit “Emperors New Clothes” but all I can say about it is that it’s one of my very few Holy Grail items and will last me for (literally) many years, making its hefty price tag seem a little more justifiable. 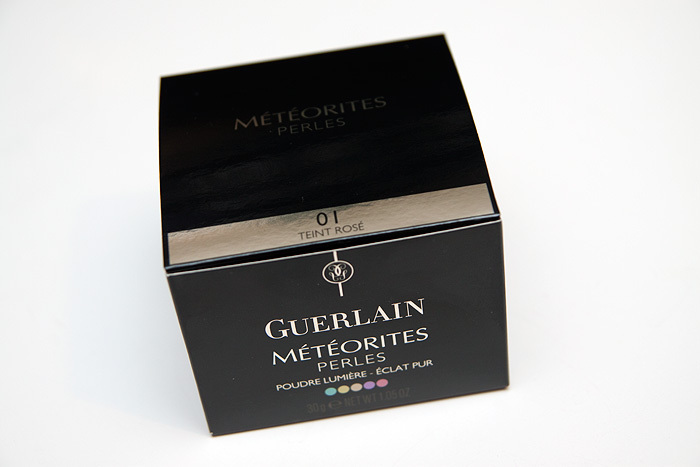 Do you use Guerlain Météorites? Love it? Think it’s massively over-rated? 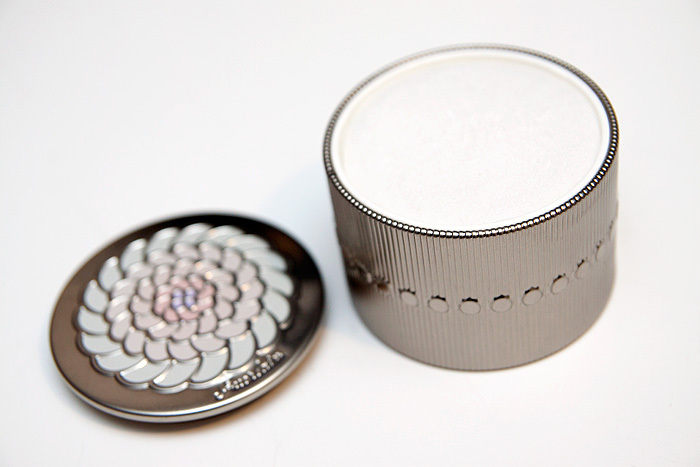 I love Guerlain Meteorites! I have the original, travel size and beige. Fabulous! These are my ultimate wistful must have. So spensive. But so beautiful. I’d never even use it, I’d just sit it there and look at it. sigh. As you know I love them and have (literally) all of them. They are so pretty and smell so lovely. Aah. Every year I look forward to a new limited edition one as well as the voyage powder, and every year they get prettier. They should really sell them in smaller packages… like 10 pearls that will approx. last for 10 years. Though the packaging is probably what makes the hefty price! Ahh I got this in the 02 shade in my local salon last week on sale for half price! They did have this shade too, might go back and get it….I agree, this is love. I love my Meteorites. Even if I didn’t believe it adds a little something special to my face, the smell is superb! I use it, I love it. I don’t think it has an illusionary effect, I can see it working! They are so pretty to look at! I do want to try this sometime – it’s on my list! I came so close to buying these recently! When you mean finishing powder do you mean instead of loose powder or as another step? 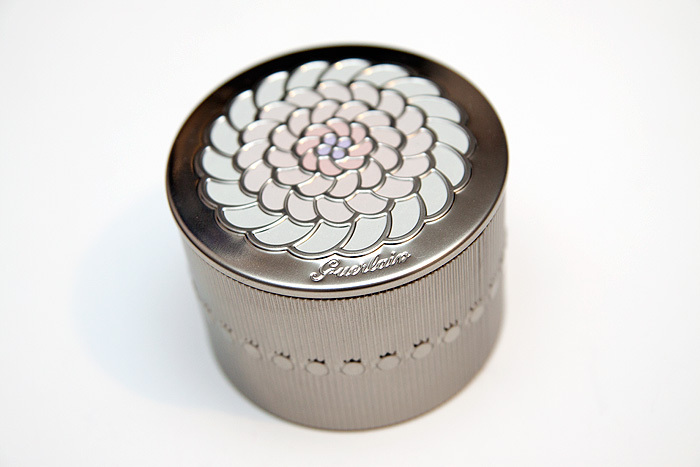 I don’t usually use a finishing powder because I haven’t seen enough of a difference in the end result with them. I just take to topping off with my MAC blot powder. I recently bought Teint Beige 02 and have used it every day since. Can’t quite put my finger on what it does, but it does do something lovely to the finished look of my makeup. Interesting the other loose powder is use is also ELF’s HD. I love Gurerlains packaging and the scent reminds me of something my Nana would wear. ah unfortch doesn’t really work on me. i think they’re highly overrated. but glad to know that it works for you!